It probably comes as no surprise that ancient societies had a different set of values than what we have grown accustomed to here in 21st century America. That’s an important thing to consider when we read the Bible. The Bible was written at a much different time in our world. That in no way means it’s not applicable to relevant to our lives today. In fact, what we find the Bible oftentimes transcends time and space as it offers us truths that will never be outdated or irrelevant. Needless to say, the Bible still has its own unique socio-cultural location, and the same is true for us. Whenever we read the Bible, we bring our own ideas, biases, and assumptions. That’s not necessarily a bad thing. But it’s something we need to be acutely aware of so that we can best understand what the Bible says to us and those to whom it was first written. For example, in Jesus’ time, people relied on the weather for everything. It didn’t just dictate what they should wear. Rather, whether it rained or not determined whether the seeds that they planted in the ground would grow and produce a harvest. The weather, to a certain extent, held the keys to their livelihood. Paul is writing regarding this church’s financial gift to the church in Jerusalem. He’s trying expand this church’s thinking–to stretch their idea of what they could do. After that, he notes that God will bless them so that they can share their blessing with others. God’s blessing isn’t designed to be kept to ourselves. We’re all designed to take part in generosity, to share the blessings of God with others. We may not be able to fully relate to the idea of relying on a harvest to survive, but the principle is powerful: we’ve already reaped a harvest. God has already provided all that we need and more. He’s inviting us to share it with others. 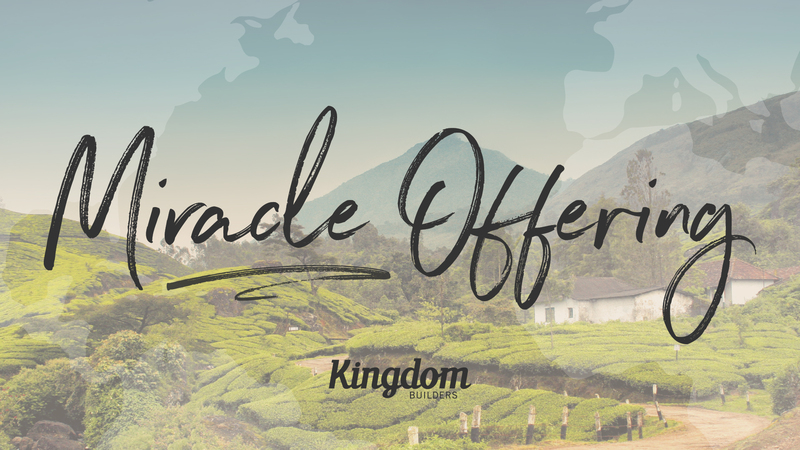 This weekend, our Church is taking part in our Miracle Offering, a time for us to freely share our blessings with others through Kingdom Builders so that all may hear about the message of Jesus. We are so excited that you will be apart of this special weekend, and you can find more information about what Kingdom Builders is doing around the world by clicking here. Leading people into an authentic, life-changing relationship with Jesus Christ.